We’ve reached peak local festival (and local music) season here in Salt Lake City. This past weekend was spent bouncing between the 43rd annual Salt Lake Greek Festival, the 40th annual Avenues Street Fair and the 3rd annual SLC VegFest, each of which featured a treasures trove of local performers. I had the most fun learning the Hassapiko with a troupe of Greek folk dancers, enjoying Nick Passey and the Perpetual Sadness’ indie rock outside City Library and capping off a toasty afternoon in the Avenues with hot tunes from Phoenix Jazz and Swing Band. Next weekend looks to be a repeat, albeit with cooler weather. Painter and MC Chali 2na headlines a jam-packed two-day Urban Arts Fest entertainment schedule along with locals like Talia Keys and Kia Shine, while the 9th & 9th Street Festival will get in a reggae groove on Saturday, Sept. 15 with The Hardy Brothers and headlining pop musician and producer Cera Gibson, who promises to perform all new material. If you want to get hyperlocal, don’t miss the Third Annual HollowFest, which promises live music on Saturday, Sept. 15 at Wasatch Hollow Park. 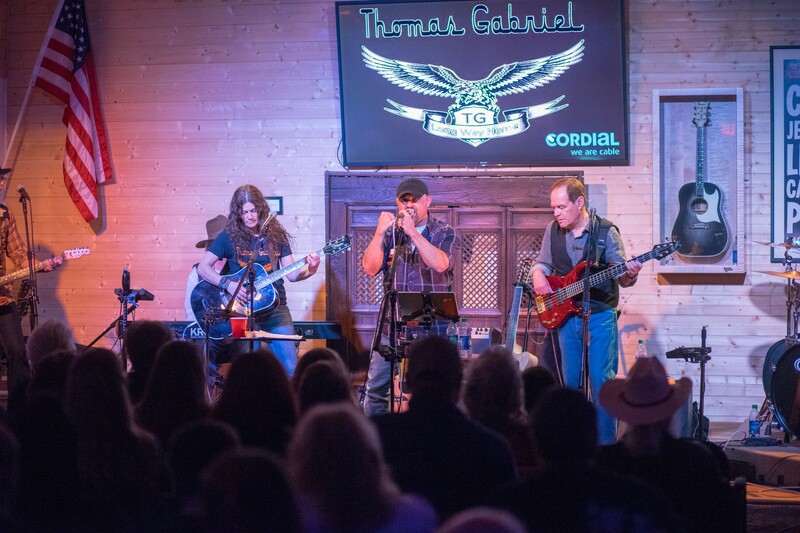 On Monday, Sept. 10, Thomas Gabriel, the grandson of revered country star Johnny Cash, brings his Cash Legacy Tour: The Long Way Home to Liquid Joe’s. The oldest grandson of Cash, Gabriel spent most of his childhood on the road and would often join his grandfather on stage to sing “When the Saints go Marching In,” but he listened when Johnny told him to have a back-up plan, so Thomas went to the police academy before pursuing his musical dreams. Speaking of that pursuit, no one lived its epic crest and devastating fall more authentically than the late Amy Winehouse, who shocked and awed the world with her voice before dying young in 2011. 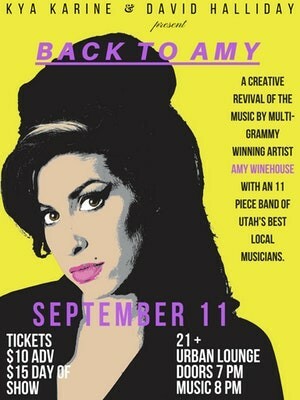 On Tuesday, Sept. 11, Kya Karine and David Halliday present Back to Amy, a creative revival of Winehouse’s music with an 11-piece band of Utah’s best locals, at The Urban Lounge. Expect vocals from Angie Petty, Alyxandri Jupiter and Laurie Hite; horns from Halliday, Joe Chisholm and Michael Bigelow; keys from Nick Petty, bass from Karine, and drums from Michael Clark; and a special guest appearance by Joslyn Poole. On Wednesday, Sept. 12, British singer-songwriter Jade Bird delivers her country-influenced indie rock at Kilby Court, bringing press accolades from NPR, The Los Angeles Times and The New York Times along with her. Support comes from Milwaukee folksinger Christopher Porterfield of Field Report, a nuanced performer in his own right. Finally, on Friday, Sept. 14, Grammy-winning Mexican rockers Café Tacvba present the latest solid show at Eccles Theatre, with Los Angeles’ The Marías opening. For the last 30 years, Café Tacvba has earned its comparisons to Radiohead, mixing alternative rock, traditional folk, zoot-suited Pachuco culture and British New Wave into an irresistible blend. The Marías, meanwhile, are yet another buzzworthy band emerging from the streets of LA, combining slacker R&B, psychedelic rock and classic lounge on their forthcoming EP Superclean Volume II. Noisey recently called The Marías’ new single “Cariño” a “lovechild of The Internet and The Cardigans,” so take the opportunity to see them now on a big stage paying tribute to an influence like Café Tacvba.